What do people really think about your brand? The best way to answer this question is to ask your customers what they actually think. And the simplest way to do that is through a professionally written survey. Simply purchase our survey template and set it up online yourself – or print and handout. 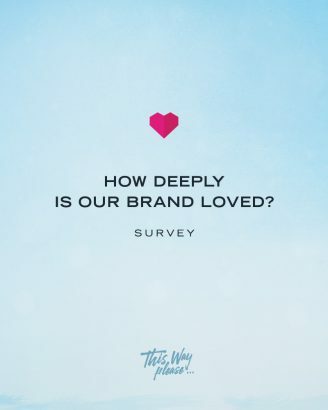 This survey is based on the book This Way Please, How To Build A Brand People Love, and follows the nine key qualities outlined in that book as characteristics people love. If you’d like us to set up your survey online, or run it, please contact us here. This comprehensive and practical guide will help you effectively promote and sell your products online. It’s powerful, simple and effective.